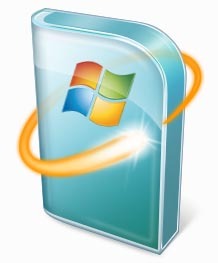 Windows Update is a Microsoft service that provides updates for Windows Vista and its installed components on your computer. Many different kinds of updates can be installed, from security updates to critical system updates that protect against newly discovered malware and system exploits. These updates can provide significant benefits to system security and reliability. Click the Start button , then click All Programs, and then select Windows Update. When the dialog box opens, browse the left pane and click Change settings. Choose the option that you want (The recommended option is “Install Updates Automatically” and you can set a time period and specific time to perform these updates). Click OK. If you are prompted for an administrator password or confirmation, type the password or provide confirmation. You have now set up Windows to install system updates automatically! Beyond these official updates released for Windows Vista on a regular basis, the manufacturers of the hardware used with your computer may occasionally release updates of the drivers that allow your hardware to work with your PC. Even if you have followed the above steps to ensure that Windows Update automatically installs important updates, it still may not be set to install updated drivers for your hardware, as these may not always be classified as important by Windows Vista. Open Windows Update (click the Start button , click All Programs, and then click Windows Update). Click Change settings in the left window pane. Under Recommended updates, select the check box for “Include recommended updates when downloading, installing, or notifying me about updates,” and then click OK. If prompted for an administrator password or confirmation, type the password or provide the necessary confirmation. Of course, this is only one feature of many that you can automate to make maintenance of your computer an easier process. Discover how Free Computer Maintenance can automate your PC maintenance tasks!